Professional and Experienced Kitchen Remodeling and More! Adroit Design Remodeling is the #1 Ijamsville, Maryland choice for home renovation and kitchen remodeling. We offer our Maryland customers unmatched services by bringing home contracting knowledge together with designers and master craftsmen to create efficient and bright kitchens. Learn more about how we can help you in Ijamsville, Maryland. 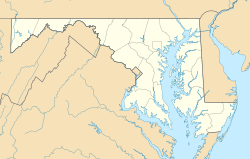 Ijamsville, Maryland is a community located about 7 miles from Frederick, Maryland. It was founded by Plummer Ijams, a descendant of Welsh immigrants. Ijamsville has high quality slate and that led to its inception as a mining town until the mid-1800s, when it shifted to agriculture at the onset of the Civil War when the demand for slate decreased along with the workforce. Today, the town is a residential suburb of Frederick, Baltimore, and Washington DC. The average kitchen remodel costs approximately $20,000, and the average return on investment is approximately 67%. While that number might feel low, a kitchen remodel brings an intangible benefit – a quicker sale. According to US News, home purchasers place an up-to-date kitchen as a top priority. If your kitchen is outdated, it may not be what today’s home purchasers are looking for – and may take longer to sell. Need a lot of storage space? Add a built-in pantry! You’ve got a decision to make, so go ahead and contact our Ijamsville, Maryland kitchen remodeling specialists and create your new kitchen!